Stephanie Smothers is a windowed, single mother who runs a mom vlog in which she demonstrates recipes and cooking tips. In one video, Stephanie talks about the investigation of the sudden disappearance of her friend, Emily Nelson. Emily works as a PR director for a fashion company. Her son, Nicky, attends the same school as Stephanie’s son, Miles. With Stephanie being a rather meek, polite person and Emily a tactless, belligerent loudmouth, the two form an unlikely friendship, which culminates in the two of the trading confessions. After two days of not responding to her calls, she encourages Emily’s husband to file a missing person report. When the police’s investigation turns up nothing due to Emily’s oddly private lifestyle, Stephanie begins one of her own, determined to learn what happened to her new friend. I have to admit I wasn’t interested in seeing this film at first. It received quite a lot of praise in the days before it came out, but in the second critical wave after it was released, its ranking on various aggregate sites dropped significantly. It didn’t help that other films from this year that followed a similar pattern such as Hereditary and Upgrade ended up being major disappointments. Observing its mixed reception with fans, the film was officially beneath my notice. I ultimately changed my mind when a reviewer I follow claimed it was Paul Feig’s best film so far. Admittedly, of his filmography, I had only seen one of his works – Spy, which I felt was pretty good, though not great. Nonetheless, a combination of having not seen a film in theaters for a while, that reviewer’s recommendation, and remembering just how much of a mixed bag 2018’s critical darlings have been spurred me into seeing it. All I can say is that I’m glad I eventually gave A Simple Favor a chance, because it is easily one of this year’s best films. It’s suspenseful, intriguing, humorous, stylish, and brimming with excellent, charismatic performances from every single one of its leads. If you watch this film, you will be wondering where they’re going with it and has the potential to blindside even the savviest watchers. A few sources I’ve read have compared it to Gone Girl, which is one of those films that has a strong following, yet I never really thought was anything special. Even so, it’s a highly fitting comparison. In fact, I would go as far as describing A Simple Favor as Gone Girl if nearly all of the latter’s weaknesses were removed. For that matter, I would liken it to Searching in how it presents Stephanie’s vlogs on a computer screen, and you can watch the real-time commenters as an Easter egg. I have seen many directors and game developers try and fail to take on a darker tone after crafting several works that were lighthearted if not outright comedies. In most cases, you end up with a work that only magnifies that director’s weaknesses while not giving their strengths a chance to shine. If A Simple Favor is any indication, Paul Feig is one of the few directors who managed to successfully take everything that made his films what they were and put a darker spin on them while staying true to himself. Don’t be fooled by the modest critical score A Simple Favor has – it is certainly worth checking out. News reporters gather for an elaborate wedding reception for Yoshiko Iwabuchi and Koichi Nishi. She is the daughter of Vice President Iwabuchi of the Unexploited Land Development Corporation. He is the vice president’s secretary. The police interrupt the wedding when corporate assistant officer Wada is arrested for charges of bribery in a kickback scheme. Reporters note that this is eerily similar to a scandal five years ago involving Iwabuchi along with administrative officer Moriyama, and contract officer Shirai. The investigation was closed following the suicide of Assistant Chief Furuya, who jumped out of the corporate office building, thereby ensuring it reached a dead-end. Speculation only grows when the wedding cake is decorated with a replica of the office building – the window from which Furuya leapt marked with a small flower. 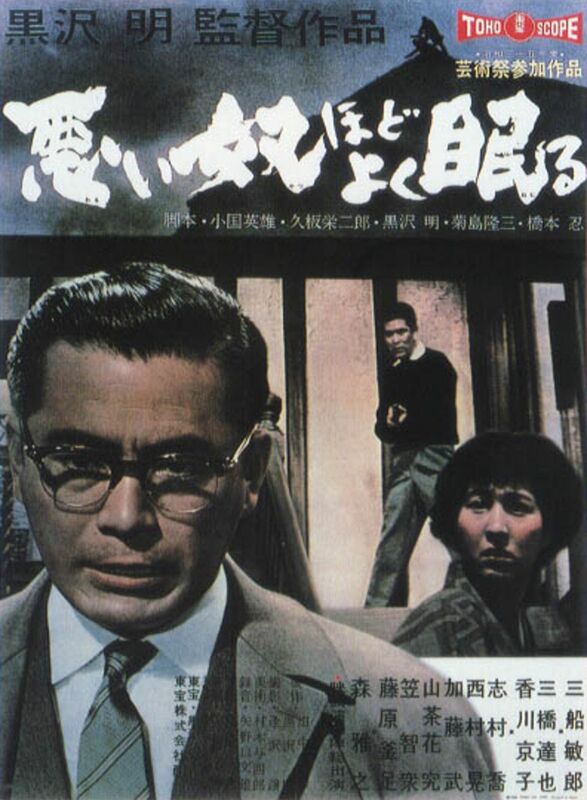 The Bad Sleep Well is notable for being part of the Kurosawa Crime Collection, which also includes Drunken Angel, Stray Dog, and High and Low. Because it was so acclaimed, I was interested in seeing The Bad Sleep Well for the longest time – I figured if it was good enough to be featured in a collection alongside the phenomenal High and Low, it was worth checking out. The only problem is that a copy of the film was surprisingly difficult to come by. Eventually, I was able to find one, and I finally got to see it this week. So now that I have seen it for myself, what do I think of this film? I would have to say I have mixed feelings about it. The Bad Sleep Well is notable for being based on Shakespeare’s Hamlet. Unlike Throne of Blood, which was a straight adaptation, The Bad Sleep Well uses Hamlet more as a vague style guide – though its poetic title wouldn’t have felt out of place among Shakespeare’s canon. In more ways, it’s a critique on corporate corruption. Koichi Nishi has, in reality, gained a prominent position in the company so he can get revenge for his father’s death, exposing those responsible – even going as far as trading identities with another man to achieve this goal. Though the character wouldn’t exist until the following year, I got many of the same vibes I got from the nameless ronin in Yojimbo as I did from Nishi. He is a guile protagonist who successfully games the system and other people to see his plans come to fruition. It almost feels as though Mr. Kurosawa transplanted the story beats of his samurai films into a modern-day story dealing with corrupt business practices, and it really is quite something when watching it unfold. Unfortunately, I would have to say that, at the end of the day, The Bad Sleep Well is Mr. Kurosawa’s equivalent of Vertigo. That is to say, it was a film I greatly enjoyed and was consistently intrigued by before watching all of that goodwill to disintegrate in the last ten minutes. |Right when Nishi is about to expose Iwabuchi, the latter has him and Wada killed and disposes of all the incriminating evidence. This leaves the real Nishi in an undesirable position wherein he cannot return to his old life and there is nothing they can do. Iwabuchi gets away with everything, though his children want nothing more to do with him, and he begins to confuse night for day, having not slept at all the previous night. I can appreciate this ending for its satirical elements because it was that emotional ending that was supposed to get people to expose corruption. However, the problem is that all of these developments occur off-screen with a character flat-out explaining what transpired. If the fateful moments occurred onscreen, it would’ve had more of an impact. As it stands, it feels as though they forgot to film an ending. It was a very uncharacteristically clumsy decision on Mr. Kurosawa’s part, who, like most gifted storytellers, was an expert on showing rather than telling – including earlier in this film.| The Bad Sleep Well does come out slightly ahead of Vertigo because it actually remembers to resolve all of its plot threads, but it too is a tough recommendation. It is the dead of winter and two sons of the robber clan leader Kozlík ambush a caravan travelling to Mladá Boleslav. One man, who is revealed to be the new Bishop of Hennau and an important ally to the Czech king, escapes while two captives are taken – the Bishop’s son and his assistance. One of the sons, Mikoláš, encounters Lazar, the leader of the neighboring clan. He threatens Lazar, but changes his mind when he prays to Christ to forgive Mikoláš. Upon his return, Kozlík berates Mikoláš for not only allowing a man to escape, but not killing Lazar. His failure to capture the Bishop cost them their chance to use him as leverage against the Czech king. Things become complicated when Kozlík’s daughter, Alexandra, grows fond of the Bishop’s son, Kristian. How I found out about Marketa Lazarová is simple enough; it was one of the first search results I got when I researched good Czech films. In fact, in a poll held in 1998, Czech film critics voted it the best Czech film ever made. I later learned that it was based on a novel written by Vladislav Vančura in 1931. It’s interesting that Mr. Vláčil managed to make an epic film out of it considering the source material was a small modernist novel. All in all, I have to say that in spite of its numerous strong points, I find the film to be an extraordinarily difficult recommendation. The cinematography is great, the music is excellent, and the acting performances are top-notch. At the same time, the director’s strange method of storytelling, which involves a lot of chronological jumping around, makes for a film that can’t be watched recreationally; you have to be giving it your undivided attention if you’re to get anything out of it. 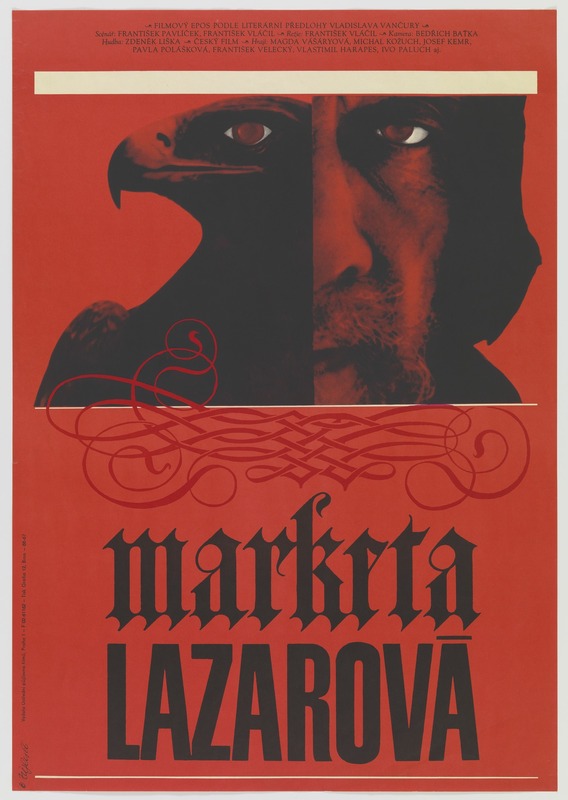 Ultimately, where I stand when it comes to recommending Marketa Lazarová is on a case-by-case basis. If you’re at all interested in this film, try to see where you stand after about thirty minutes. If you’re still interested, it is worth seeing through to the end. On the other hand, if you find yourself zoning out, don’t force yourself to continue; you won’t get anything out of it. 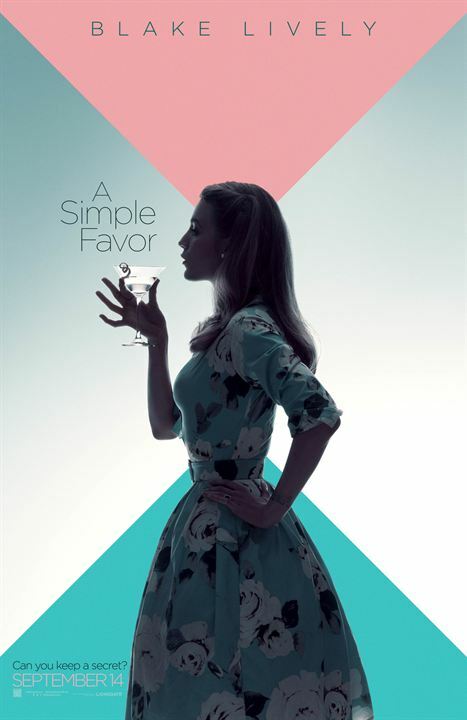 I too enjoyed A Simple Favor quite a bit. It is currently in my top five for the year. It’s certainly in my top five right now; unless filmmakers really bring their A-game in the next two months, it will be, at the very least, in my top ten.